In Budget 2017, the Government should work on reducing the Exit and the Entry Load and make Real Estate Home Buyer and Investor friendly. The Entry and Exit loads in real estate needs balancing, as the entry load as on date is around 10.5% (Stamp Duty -5%, Vat 1%, Service Tax 4.5% and Registration Rs.30000/-) and the exit load is a minimum 20% after Indexation as a Long Term Capital Gain and a 30% plus being the Short Term Capital Gain. So real estate primarily is still very tax-heavy. In certain states and cities, the Stamp Duty is even higher than 5% which is applicable currently in Mumbai. Tax reliefs in the Home Loan interest segment are meager and only applicable after the possession of the property is received. The Government over the years has given enormous sops in taxation for the financial sectors like Mutual Funds, Stocks, Debt Funds etc. So Government should also look at Real Estate as another investment tool and provide for taxes which are an investor and home buyer friendly. 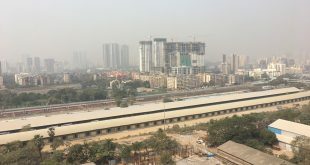 In the past 2 years, the real estate market has not given returns more than the banking segment and the interest of the Investors is now all time low as the risks associated with Real Estate Investment in Grade B and C developers and in far-flung locations, where the opportunity still remains is something to worry about.With Rera now coming up in the next few months, it will give a boost to small investors to look at the Grade B and C developer projects and this will be a blessing for the RERA compliant Developers. The beginning of the Year 2017, has been very good, with the Home Loan Rates cut by the Bank and this is prior to the Budget announcement and the bi-monthly RBI Monetary Review policy which is now slated on the 7th of Feb 2017. It’s anticipated, that by March 2017, after the clear impact of demonetization is seen, the Banks may further reduce interest rates, which will be very very good for the real estate sector. Primarily, if the Government works in a few areas as defined below, it will work wonders for the Real Estate Sector!! Clear up the ambiguity in the Long Term Capital Gains Taxes, as to from which date the Long Term Capital Gains benefit will be given, Date of allotment, Date of Registration, Date of Possession or Date of Occupation Certificate. This by far remains the largest ambiguity in the tax system and there are several judgments to this effect. 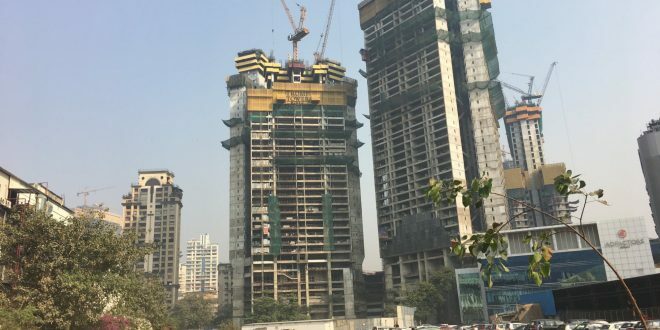 NRI’s face a big challenge in selling their real estate assets in India, and under Section 195 of the Income Tax act, they have to get a lower tax deduction. If this can be simplified and authorities to be given to Chartered Accountants and Banks to compute their taxation and in turn repatriate then it be a big booster for NRI’s to invest in India. 100% Deduction of Rent paid should be allowed in the Income for renting apartments by the Employees or Individuals. Renting is one of the largest expense legitimately done by any individual. If the expense is done by a virtue of a proper Leave and License or a Lease agreement and Stamp Duty and Registration is done, then why can’t he get a tax write off against the same. This will further boost the lease market and on one hand, Investors can invest and Government gets revenue from Income and on the other hand, the Employees or the Licensee/Renters/Lessee can get full tax benefit on what he is paying as his monthly rent. The buyers should be allowed to cross purchasing like one should be allowed to invest in Residential Properties from the Sale of Commercial Properties and from the Amounts Received from the Sale of Commercial Properties to Purchase of Residential Properties. Also, buyers should be allowed to investment in both Commercial and Residential properties from the proceeds of one single property so that a good portfolio for the property buyers/investors can be built out. 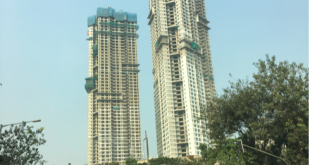 In Metro’s like Mumbai etc, we have now taller buildings scaling up to 80 to 100 Storeys, to reinvest in a high rise or a property after selling the property the rules are that the property must be ready in 3 years, this should be tweaked to be ready in 5 years to make room for investment in properties above 40 Stories. As mostly any building above 40 stories requires 4 to 6 years for construction. Rationalizing of Entry and Exit loads and making it easy for Home Buyers and Renters will result in better traction and will be great for each stakeholder. The government should take the Real Estate segment seriously as it’s one of the only section, which can propel the growth in the economy as it desires. Author – Sandeep Sadh – Founder and Director – Mumbai Property Exchange Pvt Ltd. Previous Happy New Year with Bank Interest Rate Cuts…!!! 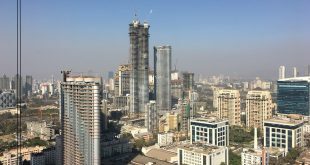 Next How to sell a house fast in Mumbai?